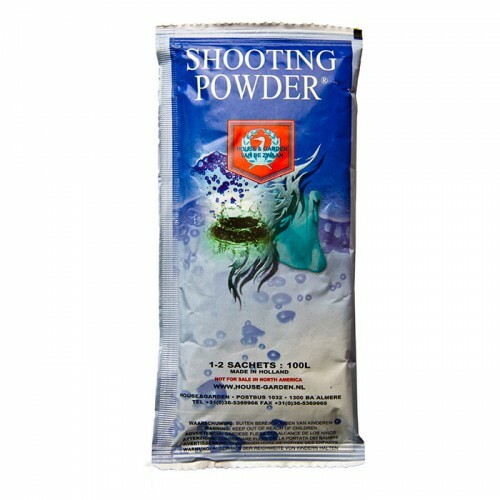 As the premier flowering simulator available in today’s market, House and Garden Shooting Powder is known for adding new growth to the final stages of plant growth just prior to harvest.While it is similar to Top Shooter, it actually is applied in a powdered form. This highly effective agent will add a pleasing taste and aroma to fruit as well as density that was almost unheard of until the invention of this product. 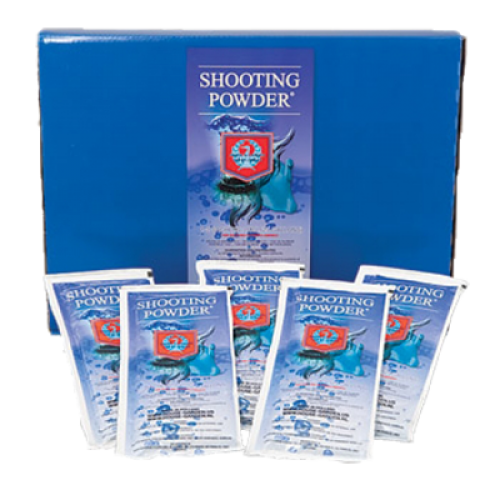 Essentially, Shooting Powder adds a new layer of growth to each plant in order to achieve a highly abundant and bountiful harvest. It works to enhance the natural conditions provided by proper light, CO2 and heat. You will be able to notice that amazing results of this product almost immediately. Directions for use: In the last 3 weeks of the flowering stage, add 1 sachet per 25 gallons of water for the first week and then for the following 2 weeks, add 2 sachets per 25 gallons. Never use this product in its concentrated form or mix directly with other plant nutrients.